Today I'm being featured over at Papercrafter's Library! Can you believe it?! Me! ME! AND, as if that weren't exciting enough, they are revealing one of my very favourite projects. Postal Station No. 45! 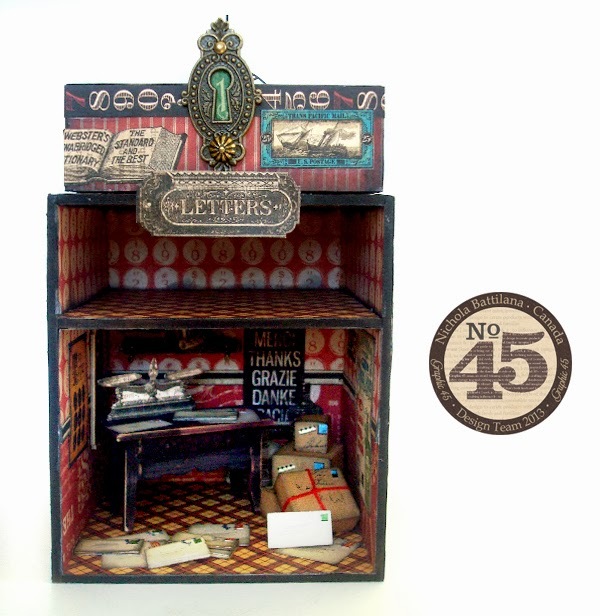 Very often, when little people come to visit my studio, they will discover that imps, elves and faeries have left them miniature mail. I thought that it was about time that they had a proper place to work from, so I created this post office for them. The base of the piece is a Mini Album Display Case from Ginas Designs. The drawer has been upturned and hinged to the top to create a spot for secret messages (or hiding candy). Graphic 45's Typography line embellishes the piece, it's stickers providing perfect classic advertising posters for the little place. Inside there are stacks of little letters and brown paper parcels waiting for delivery. Want to see more? 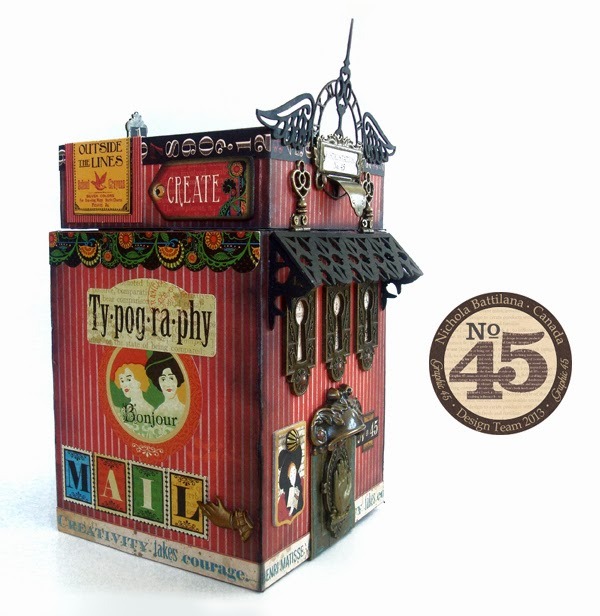 Head over to the Papercrafter's Library for more pics of this fun little project. Hi Nichola. Just popped by to say I love your Postal House - just fab! I think the rest of this little town would look pretty fab too! LOL! Thanks for the inspiration - I like how you have created the ornate roof line - so inventive! Oh my, this is the most wonderful little postal station ever! The delightful littliest details make me soooo happy! Thank you for the ispiration! I'm dropping in via PCL. Love the postal station. Such imagination with all the details, let alone the construction and engineering involved. Nicely done. I'm going to check out some of your other work. If this indicative, I'll be here for some time! !